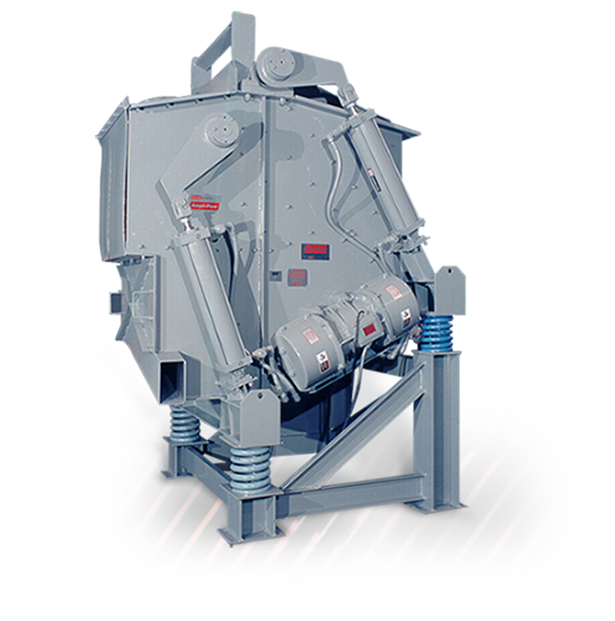 Carrier attrition mills, also known as lump breakers, combine attrition and screening of No-Bake sand, green sand lumps or core butts into a single unit. The attrition mill reduces sand lumps to grain size and removes tramp metal. Carrier’s heavy duty attrition mills are designed for reliable use and low maintenance requirements, and utilize a unique pneumatic gate that discharges metallics without shutting down. Removes tramp metal from the sand system. The scrubbing process reduces LOI of chemically-bonded sand. Replaceable wear liners for low maintenance. Heavy duty, natural frequency attrition mill design reduces noise and energy consumption. Automatic attrition discharge gate prevents tramp metal overload without stopping unit. Isolated-base design reduces dynamic reactions transmitted to supports or foundation. Heated lower deck to prevent sand sticking.